Time and again, plaintiff’s attorneys do all they can to try and get a lawsuit filed against a corporate defendant in a “plaintiff-friendly jurisdiction” in the hopes of securing a favorable judgment. This practice is known as forum shopping. The connections between plaintiffs and the forum in which a lawsuit is filed is oftentimes tenuous at best. A prime example can be found in Jinright v. Johnson & Johnson, Inc., No. 4:17-cv-01849 (E.D. Mo. Aug. 30, 2017). In Jinright, over eighty plaintiffs residing in thirty states somehow tried to claim, with a straight face, that they had personal jurisdiction in Missouri. Only two of the plaintiffs in the lawsuit actually resided in Missouri. It also important to keep in mind that Johnson & Johnson, the defendant, is based in New Jersey. Why Missouri? Because state courts in St. Louis handed out three of the top six product defect jury verdicts in the United States in 2016, according to Bloomberg.com. Those verdicts totaled $173.5 million in monetary damage awards. Coincidentally (or maybe not-so coincidentally), two of those large jury verdicts were against Johnson & Johnson in lawsuits concerning talcum powder. Fortunately, the judge in Jinright quickly realized the blatant forum shopping that was taking place and dismissed their claims. This was despite the plaintiff’s assertions that discovery was necessary to fully flesh out the issue of personal jurisdiction. 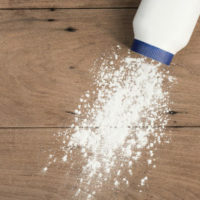 The attorneys for the plaintiffs alleged that there may be evidence that another defendant processed talc products in Missouri. The court was not buying this argument. They correctly reasoned that even if it considered there was some evidence of a defendant processing or labeling talc products in Missouri, that fact alone is insufficient to establish specific personal jurisdiction over Johnson & Johnson because it did not establish a connection between the alleged harms, the product which caused the alleged harm, and the contacts of the defendant in the state. In Bristol Myers Squibb v. Superior Court, 137 S. Ct. 1773 (2017), the Supreme Court of the United States determined that a plaintiff cannot establish specific personal jurisdiction in a state court with claims referencing transactions or harms involving other parties. Basically, this means if you live in Texas and get injured, it does not mean your friend living in Alabama suddenly has personal jurisdiction in a Texas state court. This was the right decision since it is rooted in common sense. Unfortunately, even with established Supreme Court precedent on the books, plaintiff’s attorneys will still try to file lawsuits in allegedly “friendly” forums. When confronted with a lawsuit filed by obvious forum shoppers, it is important for your defense attorney to take immediate action by seeking removal to federal court. Your attorney could file a motion to dismiss the case due to a lack of personal jurisdiction in the forum. Or, they could potentially bifurcate the lawsuit into plaintiff’s that actually possess personal jurisdiction in state court and remove the remainder to federal court. Product manufacturers are often subjected to litigation in both federal and state courts on a regular basis. That is why it makes sense to retain the services of experienced and aggressive Brownsville attorneys who are ready to take on the plaintiff’s lawyers seeking big judgments and settlements. Take a moment to contact Colvin, Saenz, Rodriguez & Kennamer L.L.P. to schedule a confidential meeting.